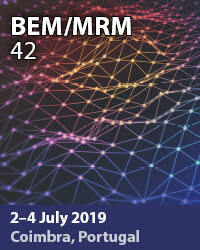 The 30th International Conference on Boundary Element Methods and other Mesh Reduction Methods (BEM/MRM) took place recently in Slovenia, co-organised by the University of Maribor and the Wessex Institute of Technology. The Dean of Engineering at the University of Maribor, Professor Niko Samec, opened the meeting by welcoming the delegates to the event and explaining that his Institute was pleased to host such an important event. Professor Leopold Skerget, Co-Chairman of the Meeting referred to the history of Boundary Elements and the role that his group has played in developing the technique. His group at the School of Engineering continues to work in transport phenomena, predominantly in fluids. He explained that scientists can now solve BEM problems that we were, until recently, only able to dream about. The number of nodes is now in the thousands rather than the hundreds. The quest, Professor Skerget said, still continues and the goal is still far off as some questions remain unanswered. In the field of fluid dynamics, problems such as turbulence are still difficult to solve as not all problems can be transported to the boundary. Computers have however become faster and cheaper but Professor Skerget warned the participants that 'brute' force is not always the best approach. Sometimes it pays to step back and think about the problems to be solved. Professor Carlos Brebbia, Co-Chairman of the Meeting then explained the work done at the Wessex Institute of Technology and in particular referred to their long-standing links with Maribor. Professor Brebbia explained that the work of WIT is to act as a link between different institutions in academia, research and industry. This is achieved through the work carried out in the different divisions of WIT and through the organisation of Courses and Conferences, together with the publication of books and journals. An essential part of WIT is its Industrial Research Division that ensures that the work of the Institute is of practical, as well as theoretical interest. He referred to the success of BEM for the solution of a wide range of problems, in particular those which require accurate stress results, such as fracture mechanics and for electric and electromagnetic field simulation. Professor Brebbia also explained how WIT operates and what the work of each division is. Most of the research projects involved different partners with a wide range of expertise while WIT contributes its unique experience in the field of computer modelling. Professor Brebbia then introduced the keynote speaker, his Co-Chairman, Professor Leopold Skerget. He explained the importance of Profesor Skerget's work for the University of Maribor and the international scientific community. He created a research group involved in the solution of fluid dynamic problems using boundary elements. Professor Skerget obtained his Mechanical Engineering degree at the University of Ljubljana, from where he also received a Master degree. After spending two years at the Wessex Institute of Technology, he was awarded his PhD at the soon-to-be University of Maribor, where he is now a full Professor. Prior to this, he worked for some years at the renowned Josef Stefan Institute. Professor Skerget is now Head of his Laboratory for transport of solids and fluids and a member of the Academic Senate at the University of Maribor. He has received several important awards and two prestigious fellowships. The first, by the International Atomic Energy Authority, allowed him to study at the Wessex Institute of Technology, while a second award by the Humboldt Foundation supported another two years of study at the University Erlangen in Germany, a well known centre for boundary elements. Professor Skerget is now a member of the Slovenian Society of Mechanics where he served as President for four years. He is a member of the Editorial Board of the International Journal of Engineering Analysis with Boundary Elements and served on the Board of the Advances in Fluid Mechanics book series. His most outstanding achievement has been the creation of his laboratory, which founded a whole new generation of Slovenian researchers in the development and applications of boundary elements for fluid dynamics. Because of all these achievements and the outstanding quality of his work, Professor Brebbia proceeded to award Professor Skerget the Eminent Scientist Medal of Wessex Institute. This award, given to some of the most outstanding scientists in the world, is a fitting tribute by the scientific community to the many achievements of Professor Skerget. Professor Brebbia presented the medal and diploma and expressed the gratitude of the community for his work in the field of boundary elements and engineering sciences in general. Professor Skerget then proceeded to explain in more detail the work of his laboratory in a special keynote address entitled "Review of boundary element methods in fluid mechanics research". The Conference was characterised by its friendly atmosphere and the many discussions that took place during it. There were numerous occasions for the delegates to interact with each other during the breaks, meals and excursions. At the end of the first day, the delegates visited a farm where they dined on home-made produce and drank excellent white wine, produced there. They were shown around the vineyards and cellars and learned about the different Vineyardtypes of grapes used in the blending of the wines. The farm has belonged to the same family for over 500 years and the current owners, as is the case with many small farmers in the region, need to find alternative employment in the city of Maribor to support their farming activities. As in may places within the EU, to return to the family land has become a labour of love. The evening was most enjoyable and gave the delegates a better idea of the traditions, rural architecture and fare of Slovenia. A technical excursion took place during the afternoon of the second day of the meeting. The participants were taken by bus to Turboinstitut, an organisation with 60 years of tradition in research and development of hydraulic machinery and more than 20 years of experience in Computational Fluid Dynamics (CFD). It is now one of the worlds leading industrial users of computationally intensive methods for engineering and research applications. The main activities of Turboinstitut are water turbines and pump research and development, design, manufacturing and engineering of equipment for small hydropower plants, and they have cooperation with Universities at post-graduate level. Turboinstitut has recently installed a supercomputing centre with some of the most powerful computers in Europe. It promotes the applications of CFD in research, industrial applications and the use of supercomputer capabilities in Slovenia and its surrounding region. The supercomputing centre has been established to further CFD analysis in industry. It deals with Turbine research and development, fluid flow simulation, small hydraulic power plants and pump design. They carry out testing for many clients in different countries around the world and specialise in the manufacturing of small, one piece runners for Francis, Kaplan and Pelton turbines as well as compressors and pumps. Their turbines provided up to 10MW power. More recently, the Turboinstitut decided to set up its own CFD facilities to reduce the amount of experimental testing. The idea is to be able to carry out many computer tests and optimize the design at the end of which a single experiment on a reduced scale model can be done to confirm the solution. They have chosen ANSYS packages and the new multiprocess supercomputer has been built by IBM. The delegates were shown CFD results obtained for a Francis turbine using 3 million elements. They hope to be able to work with 30 million clients soon. The delegates were impressed by the potentialities of the Turboinstitut which combines a well grounded experience in the manufacturing of small turbines and experiments on small scale models, with a sound knowledge of CFD. The current emphasis on distributed energy production sources gives them a competitive advantage over larger manufacturing companies. At the end of the Conference, the delegates were taken to Ptuj Castle. Ptuj used to be one of the most important towns of Central Europe in the Middle Ages and one of the oldest towns in Slovenia. The picturesque castle above the town of Ptuj has defended the settlement below its walls for centuries. The earliest archaeological findings are from the end of the 3rd Millennium B.C. The oldest buildings still standing are from the Middle Ages. The delegates were shown around the Castle by a guide provided by the local Town Hall who described in detail the history of the building and the different works of art on display. At the end of the tour, the delegates were shown around the oldest wine cellar in Ptuj which provides wines of excellent quality. They were welcomed there by the Mayor of Ptuj who offered a wine testing session and gave each of them a bottle of wine as a parting gift. The Mayor referred to the efforts made by the city to attract visitors and capitalize on its unique history. Ptuj was known in Roman times as Poetovia and is mentioned in one of Tacitus' works in 69A.D. The town now has excellent hotel facilities and a well known spa, and will undoubtedly become better known in the future. Professor Brebbia thanked the Mayor for his friendly welcome and referred to the long existing links between his Institute and the University of Maribor. He then proceeded to present the Mayor with a copy of the latest edition of the New Forest Book which describes the environment of Ashurst Lodge. At the end of the wine tasting session, the delegates proceeded to have a banquet in an excellent riverside restaurant offering local specialities. The whole evening was most enjoyable and helped to cement the contacts among the participants. A Board Meeting of the International Journal of Engineering Analysis with Boundary Elements and other Mesh Reduction Methods took place during the conference. Professor Brebbia opened the meeting by providing the participants with a commentary on the report received from Elsevier. The most important points were the success of the Journal in terms of subscriptions, paper downloads and the continuous improvement in the impact factor. Professor Brebbia explained that the major change of policy implemented after 2003 in terms of expanding the scope of the Journal has started to pay off. 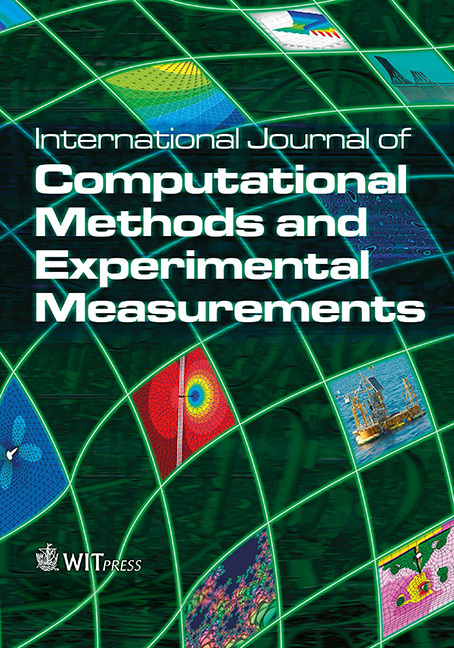 The policy was to include all Mesh Reduction Techniques other than Boundary Elements as within the Journal's scope. This led to a restructuring of the Editorial Board which increased in number with the appointment of a number of key scientists in the MRM field. It took some time for these changes to be effective but it is now rewarding to see the results. Professor Brebbia stressed the need to continue improving the Journal rather than simply basking in our success; Journals that do not evolve, Professor Brebbia said, are bound to disappear. One of the ways of achieving this continuous process of evolution is to appoint new members of the Board, and several nominations were put forward and approved. The next important topic of discussion was the preparation of special issues as the experience with them has also been most positive. Further discussions took place regarding the need to cover certain geographical areas better, particularly in Asia, from where many papers now originate. More papers from the USA should be sought as it was felt that our colleagues there do not fully appreciate the importance of publishing in international journals rather than those based in the USA. The members of the Board expressed their appreciation to Elsevier for its support and will continue to work together to improve the quality of EABE.